Go for a ride with Batman v Superman: Dawn of Justice! 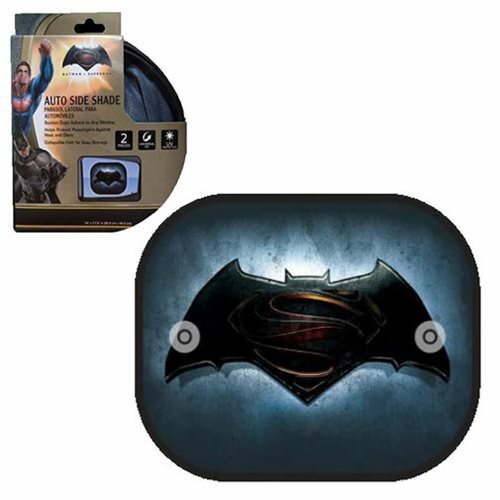 Batman v Superman 2-Piece Side Window Mesh Sunshade will keep your car from getting so dang hot. It features the iconic Superman / Batman mix logo from the DC film!